Take-up reached 703,926 sq ft at the end of 2017 which represented the highest take-up performance on record and a 4% increase on 2016. The good levels of occupier demand that the market is currently experiencing is evident as take-up has increased year on year since 2013. The amount of take-up in 2017 has been primarily driven by the GPU leasing 269,228 sq ft at Central Square in a pre-let deal, which was the largest deal recorded in Welsh history. The second largest deal in 2017 was Cardiff & Vale College leasing 54,000 sq ft at One Canal Parade, there were nine deals above 10,000 sq ft in 2017. The public sector was the main source of demand in 2017 with over 59% of take-up being recorded from the sector. This looks set to continue in 2018 with two large requirements from the NHS (25,000 sq ft) and GPU Phase 2 (100,000 sq ft+). Cardiff unlike other regional cities has not benefitted from “northshoring,” and there have not been any large inward moves into the city. The average deal size in the market in 2017 was 7,815 sq ft although if the GPU deal is excluded then the average deal size was 4,844 sq ft, which reflects that the bulk of the deals signed in the market is churn of smaller and medium sized businesses who employ between 10-50 people. We expect this churn to continue in 2018 with the below 5,000 sq ft size band being the most active this year. 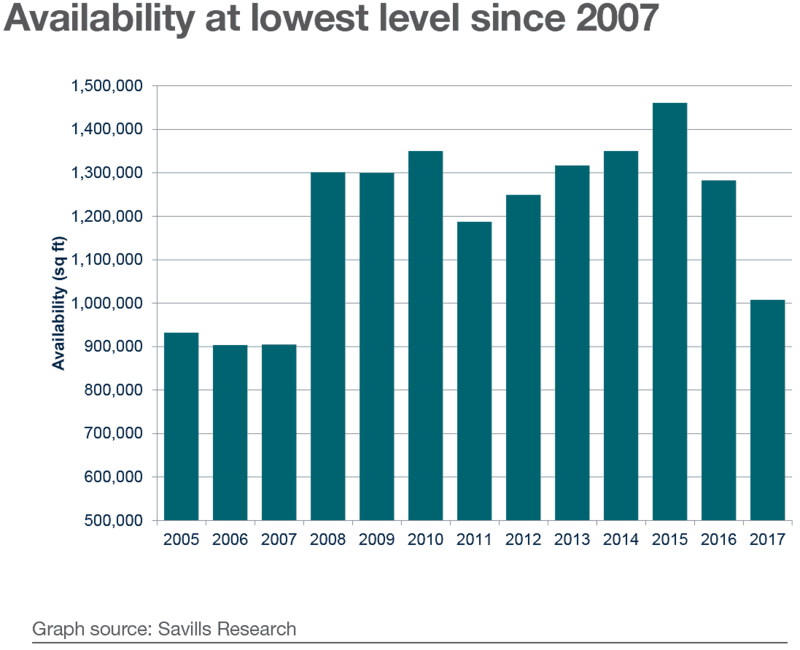 Supply in the market is at its lowest level since 2007 with only 1.0 million sq ft available. This represents a decrease of 21% from 2016, which highlights the lack of supply in the market. Furthermore the lack of large buildings available could hamper take-up from increasing in 2018 as there are currently only six buildings available in the market which can accommodate requirements above 20,000 sq ft. There is 167,000 sq ft under construction across two buildings which are currently being speculatively developed by JR Smart. These are 3 and 4 Capital Quarter, which total 77,000 sq ft and 90,000 sq ft respectively. There are a number of pre-let opportunities available in the city including Central Quay, Central Square, John Street and Callaghan Square. The Cardiff office investment market has experienced strong levels of activity in 2017 with investment volumes reaching £305m by year end which was a record year of activity and over double the total in 2016 highlighting the scale of investor interest in the market. This has been driven by the sales at Rightacres Central Square scheme which have totalled a combined £224.7m. The largest deal at Central Square was Legal & General forward funding 6 Central Square for £117.2m where the GPU pre-let 269,228 sq ft. The other two deals at Central Square in 2017 were Aerium Finance purchasing 1 Central Square for £51m and Credit Suisse Asset Management buying 2 Central Square for £56.5m. The success of the Central Square development has been highlighted in these transactions and demonstrates the importance of having new grade A stock available in city centre locations. This is the clear occupier location preference which will consequently drive investment volumes and hopefully attract further inward investment into the city in the future. Prime yields are currently 5.5% which is a 50 basis point fall from H1 2016. The strong investor interest has resulted in downward pressure on yields. However, this is still a 50 basis point discount from the other main UK regional cities which will mean that Cardiff will continue to be attractive to investors who are seeking exposure to the UK regional office markets. Overseas investors continue to be active in the market which has been highlighted by the Central Square transactions and the overseas interest at Cardiff Waterside. There is, however, still interest from UK institutions in prime assets in Cardiff. Although they have been outbid by overseas investors who are attracted by the yields which are higher than comparable assets in their domestic markets and the continued weak sterling makes investing in the UK attractive. 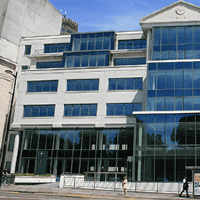 Cardiff has seen UK Investors also acquiring offices in 2017 such as Fidelity's acquisition of 1 Fusion Point and Boultbee Brooks acquisition of Park House. After a record year of transactional activity in the occupational market, we expect take-up to fall in 2018 and return to be in line with the long term average. This will be caused by a lack of supply in the market and especially buildings which can accommodate large requirements. 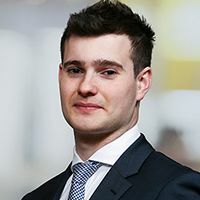 Demand in the market is predominantly lease event driven and with most of the larger professional service occupiers signing new leases in recent years it is unlikely that there will be many large private sector requirements this year. Furthermore we expect limited rental growth in prime rents in 2018, we expect prime rents to remain stable at £25 per sq ft as there is currently no speculative development planned in prime city centre locations. The opportunity for prime rents to increase in the short term will be in a small office suite coming back to the market at Central Square. A new source of demand in the Cardiff market could potentially originate from the serviced office sector who provide co-working space. These providers have been extremely active in leasing space in the Central London market have started to open new centres in the regional cities as well. These centres have predominantly appealed to start-up businesses from the creative and technology sectors and with the strong tech start-up scene at the Creative Quarter we believe that there would be good interest in this type of space if it was available. Furthermore, with the BBC locating their Welsh headquarters at Central Square this could potentially create a media cluster with smaller media companies seeking to gain synergies by locating near the BBC. This could provide a good source of demand for co-working space. We expect UK institutions to continue to be net sellers in the Cardiff market with the focus on securing long term income which was highlighted by Legal & General forward funding 6 Central Square. The institutions will still chase prime offices with potential for rental growth. Overseas investors will continue to be active in the market as we expect strong demand from the sector who are seeking prime assets at attractive yields which the Cardiff market can offer. kamaco believe that the impending stamp duty increase from 5% to 6% will have a detrimental effect on the Wales commercial property market. The increase will deter investment from developers and investors and may result in Cardiff not being able to compete with the other regional city office markets in the rest of the UK. 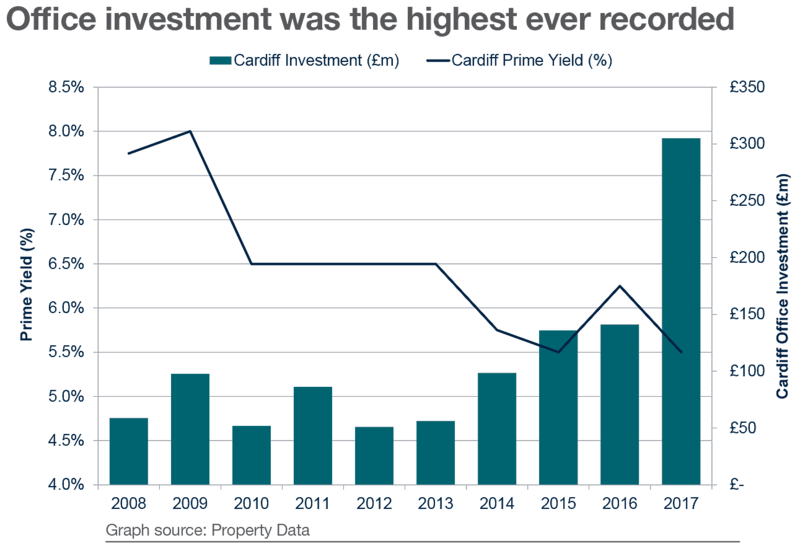 There is clear, strong investor interest in Cardiff currently which has been highlighted with the record year for investment volumes in 2017. However, the increase in stamp duty will make Wales more expensive when exploring investment and development opportunities and therefore it is likely that investors may target other regional cities instead of Cardiff which will result in a reduction in the flow of capital into the Cardiff market. This could, therefore, hinder Cardiff’s ability to compete for inward investment into the market. Furthermore, national developers may not consider Cardiff when looking at future development opportunities due to the increase in stamp duty which may result in Cardiff’s office market not growing at the same rate as the other UK regional cities due to lack of development. The rise in stamp duty will result in the cost of leasing space for occupiers increasing which could potentially result in landlords having to offer larger rent free periods. This could then make new development in Cardiff less financially viable which will then limit the future growth of the Cardiff office market. Another issue facing Cardiff’s office market is the lack of occupiers relocating to the city from other parts of the UK. A key consideration for these companies, some of whom will be footloose and will therefore consider other parts of the UK along with Cardiff, is the cost of relocating and therefore Cardiff’s ability to attract these companies could be hampered by the new stamp duty proposals. This could, therefore, limit future employment growth in the city. There have been very few notable success stories of inward investors in the last few years with the majority of transactions each year being churn within the city.